MW Rotary Club to host our 4th annual fun family Bowl-A-Thon fundraiser! 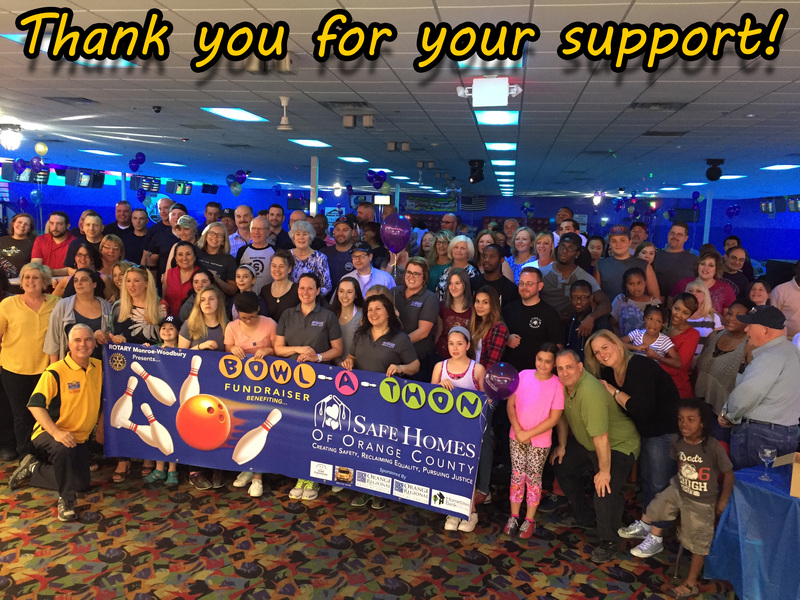 To benefit Safe Homes of OC at Colonial Lanes in Chester NY. There are 30 lanes, 5 people per lane. Our goal is to raise $100 per person ($500 per 5 person team). Time slots: 4 - 6 pm . This year we are giving a grand prize to the person who raises the most money! Thank you all times filled! Here is a photo from our previous Bowl-A-Thons which were a lot of fun and huge successes!